One of the greatest gifts that God has given humanity is the beautiful gift of memory. 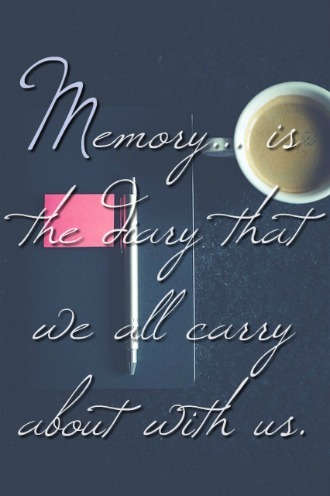 In a sense, memory allows us to relive a moment that was so special to us. I’m extremely pensive and I always find myself reminiscing about the past. I love to cherish and hold on to memories. Let’s find out what the Bible says about memory. There are times when God is doing things and we might not understand it yet. That is why it’s important to cherish the little moments on your walk with Christ. You might not know exactly what He is doing but you know something is being done. One of the best ways to treasure the small things is by journaling. Write things down daily and pray about them. In Luke 2 we noticed that Mary treasured and thought about all that occurred and was said before her. She treasured things in her heart even though she didn’t fully understand. We should also treasure and cherish the little things even though we don’t fully understand and see the full picture yet. Some of my greatest memories are the ones that involve my Christian testimony. It’s such a beautiful picture in our mind when we remember how God drew us to repentance and saved us. This memory is something that you should constantly replay in your mind. When I reminisce on the moment I came to Christ it’s similar to me preaching the gospel to myself. Remembering how God saved me reminds me of His love, His faithfulness, His goodness, etc. Remembering what God has done for you keeps that fire burning for Christ. Many believers are spiritually dry and their affection for Christ is dull. One of the main reasons for this is that we don’t remind ourselves of the great price that was paid for us. Scripture tells us that unbelievers are dead in sin, enemies of God, blinded by Satan, and haters of God. However, God in His grace and mercy still sent His perfect Son to die on our behalf. God sent His perfect Son to do what we couldn’t. We deserved all the punishment in the world, but He instead threw it upon Christ. Sometimes I look back and think “wow I can’t believe He regenerated my heart!” God removed my old desires and gave me new desires for Christ. I’m no longer seen as an enemy of God or a sinner. He now sees me as a saint. I can now enjoy Christ and grow in intimacy with Him. Please don’t forget these great truths! As you walk with Christ for 5, 10, and 20 years, these memories are going to help you to keep your focus on Christ and His great love for you. My memories become some of my greatest praises. If you are a Christian who is trying to learn how to trust in God more, then look back to what He did before. Sometimes Satan tries to make us believe that past deliverances were just a coincidence. Look back to those times and remember how He answered your prayer. Remember how He lead you when Satan tries to tell you lies. In the beginning of the year I took a trip to North Carolina. On my trip I revisited a trail that I hiked the year prior. I remember the previous year I was struggling with fear. One day in North Carolina I hiked a trial in the evening. As it got darker and darker God was speaking to me and He was reminding me that I was safe in Him and that He was sovereign. As I was coming down it was pitch black. In this specific part of the forest I was by myself, but yet I had no fear while going down as I did while going up the mountain. On that hike that day I faced my fears. This year I hiked the same trail. I believe this time God was speaking to me about trusting Him. As I hiked the trail I had multiple flashbacks of God’s faithfulness. As I passed certain points on the trail I would remember this is where I was when I rested. This is where I was when God said this. This is exactly where I was when I had full confidence in God’s sovereignty. Remembering God’s faithfulness on my past trip helped me to trust in God more. I feel like God was saying, “do you remember this? I was with you then and I’m with you now.” Remember how God delivered you. Remember how He spoke to you. Remember how He guided you. He’s the same God and if He has done it before He will do it again. 9. Psalm 143:5-16 “I remember to think about the many things you did in years gone by. Then I lift my hands in prayer, because my soul is a desert, thirsty for water from you. One thing I love about Paul is that he always remembered other believers in prayer. Paul was imitating Christ which is exactly what we should be doing. We are called to remember others. We have been given a great privilege to be used by God in prayer. Let’s take advantage of it. I will admit that I struggle with this. My prayers can be so selfish at times. However, as I get closer to the heart of Christ I’m noticing a greater love for others. That love manifests in remembering others and praying for them. Remember that stranger that you talked to. Remember those unsaved family members. Remember those friends going through tough situations. If you struggle with this such as myself I encourage you to pray that God would give you His heart. Pray that He helps you to remember others and that He brings people to your mind as you pray. So far, we’ve talked about the good aspect of memories. However, there are also memories that we would like to forget. We all have bad memories that try to resurface in our mind. The trauma from our past can be overwhelming and I know receiving healing is not easy. However, we have a Savior who restores our brokenness and makes us new. We have a Savior who pours out love and comfort. We have a Savior who reminds us that we are not our past. He reminds us of our identity in Him. Christ is continually healing us. He wants us to be vulnerable before Him and bring our brokenness to Him. Always remember that God can use your painful memories for His glory. He understands your pain and He is faithful to help you through it. Allow Him to renew your mind and work on building your love relationship with Him. 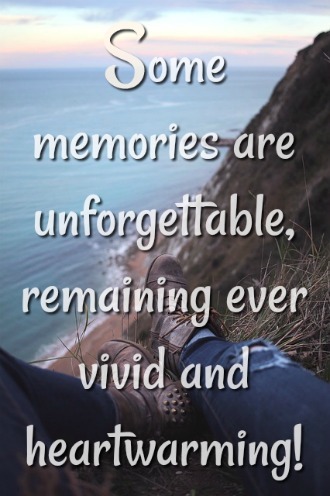 Everyone will one day be just a memory. If we are honest we all desire to leave a good memory of ourselves after we die. The memory of believers should be a blessing because of holy living. The memory of believers should bring encouragement and inspiration to others.